Hello beautiful crafters! 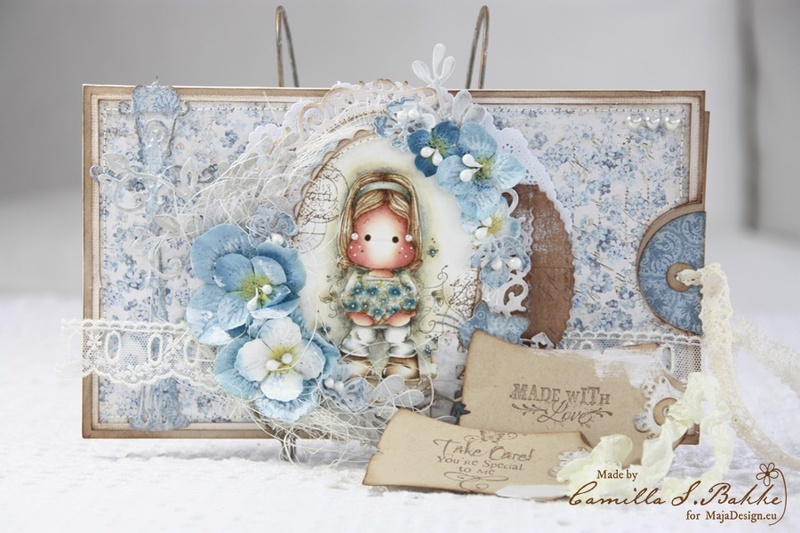 It is Camilla here today showing you my latest card/decorated paperbag. 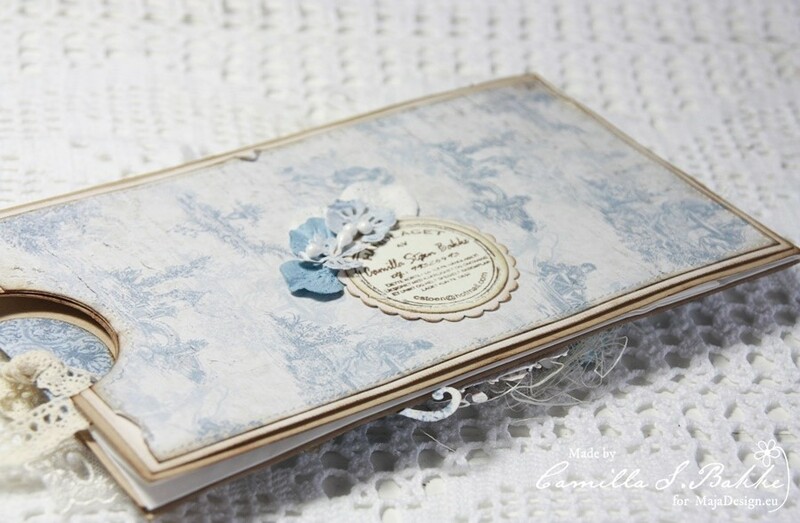 I have used beautiful blue tones from the collection Vintage Romance. 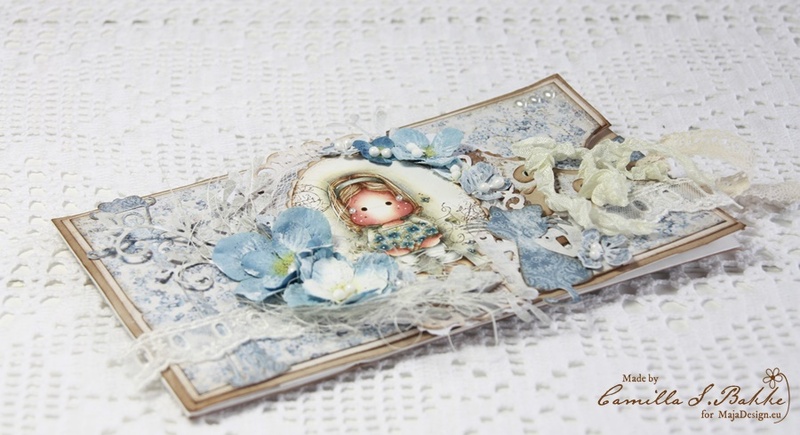 The image is from Magnolia’s latest collection, Sea Side Collection 16, and is called Tilda with an armful of flowers. I have coloured her in the same tones as the papers. And used my Distress Ink reinkers and markers. I have used weathered wood for her clothes and faded jeans on the flowers,-this as main colors, then I have used different other colours to make more life into the cute Tilda. As I told you, I have decorated a paperbag. 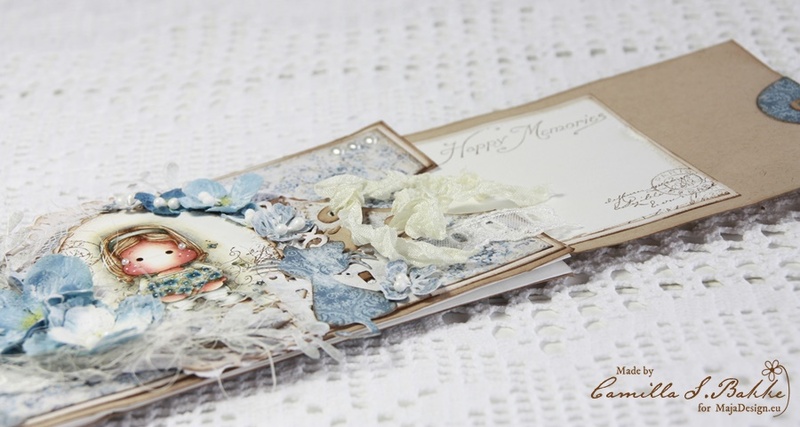 But I have left it flat, as a foldercard, and made a card inside, to write the greeting on. 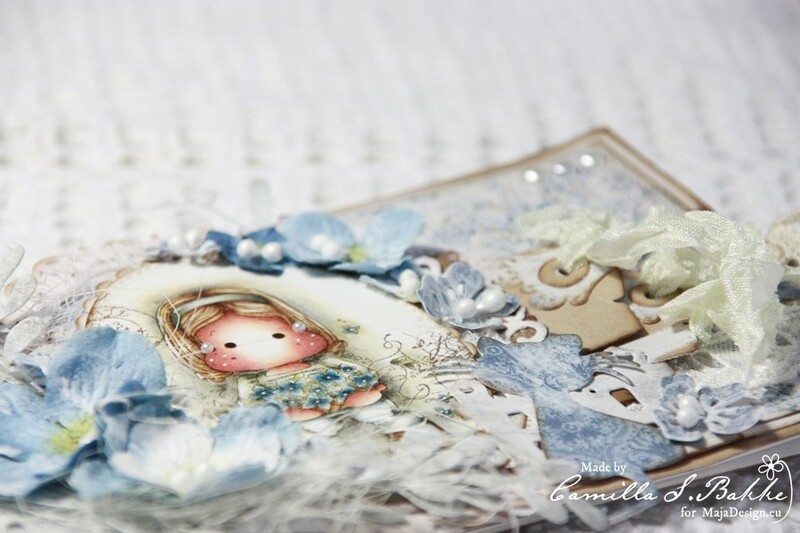 Here you can see the two tags (used the die: Tilda tag from Magnolia). The beautiful texts are from Stempelglede. 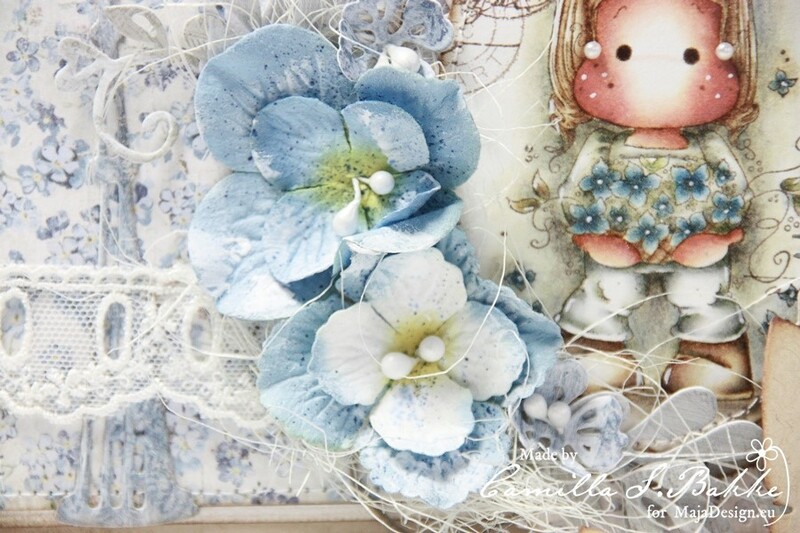 Lovely blue flowers matching the flowers on the image are from Prima. I have added some White Gesso on to them. I have also made some small flowers myself using beautiful Maja paper and a DooHickey flower die. Thank you so much for visiting today! Wish you a lovely day! 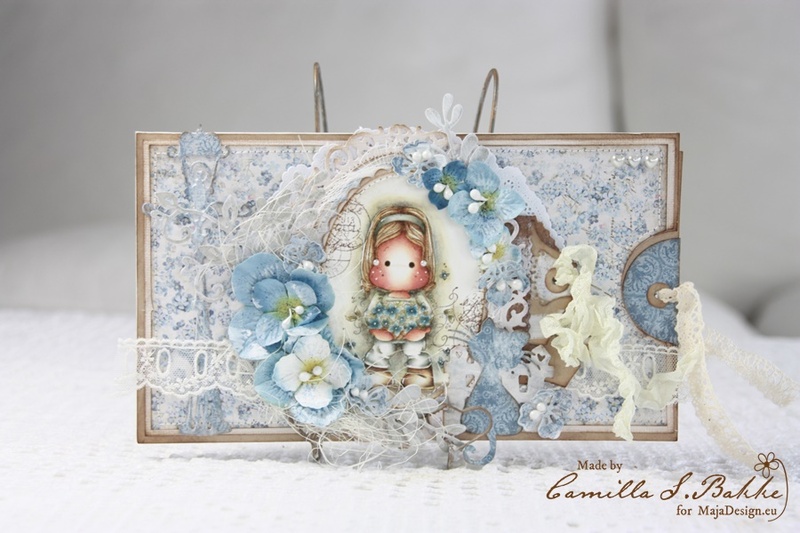 This is soooooooo beautiful Camilla, I absolutely LOVE your tagcard here, and what a great idea to make a card like this, it´s definitely put in my storage of ideas to use later, that´s for sure.